I have been meaning to study more about the Muslim world. 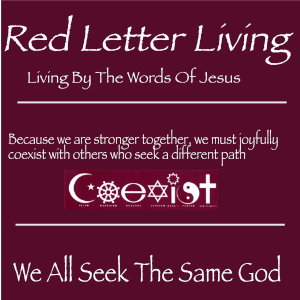 I know it rivals Christianity as the largest religion in the world. Here are some supposed facts I recently found about it from a recent on-line article. Click the source below to see the complete article. 1. There are 1.6 billion Muslims in the world. 2. European Muslims are more moderate on sharia law. Eighty-four percent of Muslims in South Asia, 77 percent of percent of Muslims in Southeast Asia, and 74 percent of Muslims in the Middle East and North Africa believe that sharia law should be official law in their respective countries. Only 18 percent of Muslims in Europe believe that sharia law should be enshrined in addition to (or in lieu of) the existing law. 3. Some Muslims are immersed in an environment that permits and nourishes the core beliefs they cite as reasons for acting as they have. For example: 2.3 percent of Muslims in Europe believe that people who leave the Muslim faith should be executed. By contrast, 63 percent of Muslims in South Asia share that belief, as do 44 percent of Muslims in the Middle East, and 20 percent of Muslims in Southeast Asia. 4. Just north of ten percent of Muslims worldwide support and sanction religously motivated violence against civilians in at least some contexts. That’s about 195 million, according to the most accurate polling of Muslim beliefs. 7. There are seeming contradictions in how much Muslims support women’s rights. In Europe, 44 percent of Muslims think that women should at all times submit to their husbands, but 88 percent believe that women ought to choose for themselves whether they should wear a veil in public. Outside of Europe, strong majorities of Muslims believe that women must obey their husbands and wear their veils outside their home. 8. There are big geographic differences in how people interpret the truth of the Islamic faith. In 32 of the 39 countries surveyed, half or more Muslims say there is only one correct way to understand the teachings of Islam. In the United States, nearly six in ten Muslims think there are many ways to interpret Islam. SOURCE: 8 facts you need to know about Islam and terrorism. Some of these statistics surprised me. I have always thought that the radicals who seem so dominant in the news were completely out of step with the average follower of that religion. But this article seems to say not as much out of tune as I thought. Over three-fourths of the Asian and Middle East muslims think that Sharia law should be the only law of their countries. 195 million support religiously sanctioned violence and about half say that if you leave Islam you should be executed!! The vast majority of practicing muslims don’t support any form women’s rights or even human rights in general. These numbers say that muslims are more aligned with some ISIS ideology than I originally believed. I certainly don’t want to paint with too broad a brush here and it does seem that at least muslims in western countries, which are a distinct minority of muslims, are less rigid than in the rest of muslim the world. One of the most basic things that confuses me about Islam is that they seem to put much more emphasis on their prophet Mohammad than they do God himself. Why is that? Is it ok to have a picture of God but not Mohammad? I guess I need to study this religion more…. but what I have found so far kind of startles me…. BTW- I never saw a picture of anyone (including God) in an Islamic house. Words and landscapes are on walls. Is it different then Amish? Or Hassidic Jews? Yeah Janette, I’m kind of like you here. Since the article did not give the source for these numbers I wonder how accurate they really are. But usually these type of numbers do not usually come from inside an organization but instead from a external source and they would likely be more accurate of true feelings as a result. The lack of pictures is common in Amish household as they cling to the archaic belief that taking a picture somehow robs the soul. Are muslims against all forms of pictures or just those of Mohammad? I don’t know.. I guess there must be a significant difference between Shite and Sunni since they kill each other on a regular basis over those beliefs. I am a person who has come to think that everyone has a right to believe in the deity of their choice but they don’t have a right to force others, especially through death and intimidation, to believe what they do. Thanks for the thoughtful comments…. BTW, from my understanding, the issue with depictions of Mohammad is also a Shia vs Sunni issue as Shia’s don’t have any issue with it as long as it is done with respect etc. Sunni’s on the other hand worry that any depiction of the Prophet is sacrilegious and is a form of idolatry. Having said that, the Shia’s in Iran have certainly not been a bastion of moderation towards the US or the West for the past 30 years! While there are many in the Middle East that wrap themselves up in taking key verses out of the Koran to justify hateful actions, is that an issue of the religion or how individuals choose to interpret it? I totally agree that we need to continue figuring out how to marginalize these radical elements until their local populations choose to turn away from their hateful interpretations that don’t work without using a broad brush stoke for the entire religion as being tied to terrorism. Let’s remember our own history here in the West of just a few decades ago where Catholics and Protestants used rather horrific, terrorist type tactics when fighting each other in Northern Ireland – often using their respective religions to justify what they did. And this type of activity continued until the people of that area chose to go down a different path. It is certainly a complicated world that has grown smaller and more complicated in recent years. Thanks for listening to my long winded message and for keeping the dialog open for all of us on this issue as we need to continue to listen and learn from each other. Take care! Peace!! Mike, thanks for the very insightful comments here. They added much to this discussion. Yeah all religions have their in-fighting don’t they. Its kind of like politics, none of us can agree on what we want our god to look like. Peace to you too my friend…. What is taken by the sword by the sword will be destroyed.